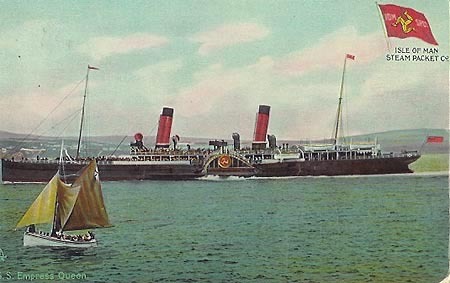 This page is devoted to postcards and photographs of the Isle of Man Steam Packet Company (IOMSPCo) paddle steamer Empress Queen. 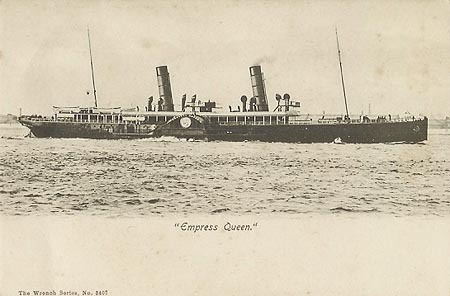 A.W.Moore wrote in 1904:- The Empress Queen is said to be the largest and swiftest paddle steamer in existence. 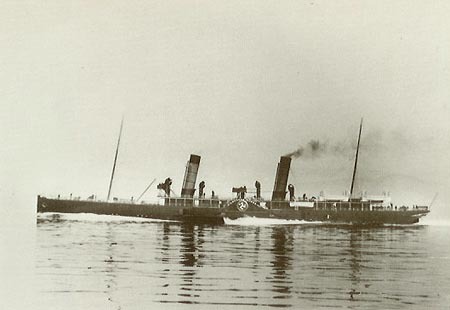 She has only surpassed the Prince of Wales's record of two hours and fifty-nine minutes between the "Rock" and Douglas by two minutes, but she is, on an average, some twelve minutes faster between Liverpool and Douglas than that steamer. She has accommodation for no less than 2,000 passengers. 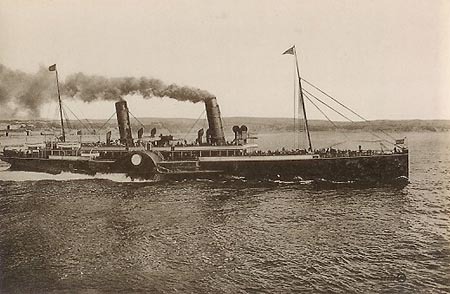 She is more than three times as long as the first steamer - the Mona's Isle (1) - owned by the Company, and the proportion of her tonnage and indicated horse-power is as eleven to one and thirteen to one, respectively. 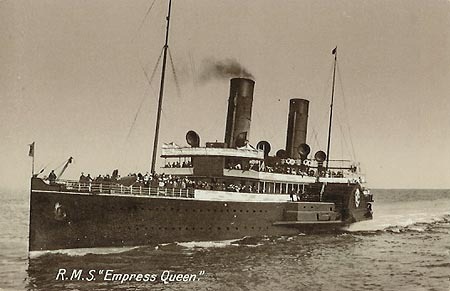 IOMSPCo official postcard of Empress Queen at Douglas. Posted August 5th, 1913 from Liverpool to Ramsey, IOM. 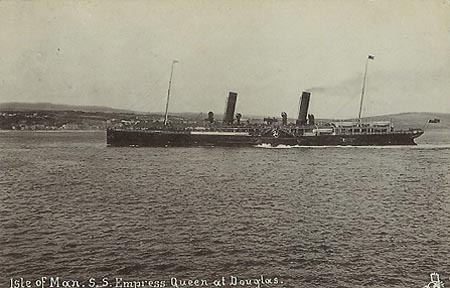 Tuck's postcard of Empress Queen at Douglas. Two Harmann (printed in Saxony) postcards using the same basic image. In the monochrome card (2412-3) she is travelling in reverse, presumably out of Douglas. In the colour card (2423-1) posted July 30th 1907, the image is doctored to make her travelling forwards. 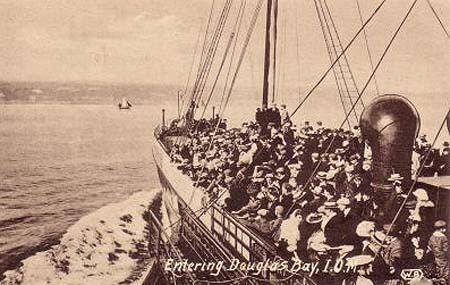 Hough postcard (Douglas, IOM) of Empress Queen arriving at Douglas. 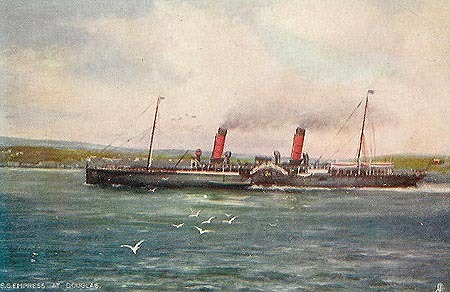 Postcard of Empress Queen in the Mersey. 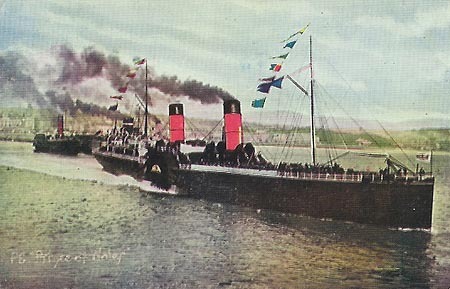 Valentine's postcard of Empress Queen leaving Douglas. 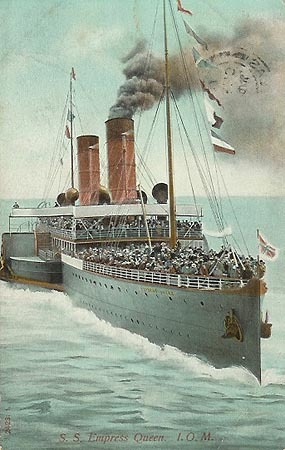 Raphael Tuck "Silverette" postcard of Empress Queen at Douglas, posted 5th August 1906. On board Empress Queen, approaching Douglas. 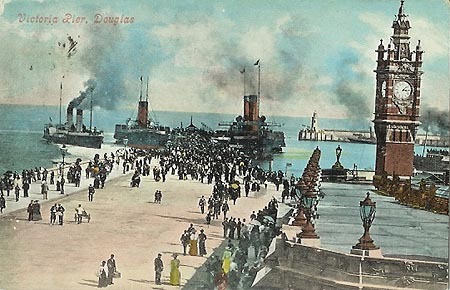 Valentine's postcard of Victoria Pier, Douglas, with Empress Queen and other steamers. 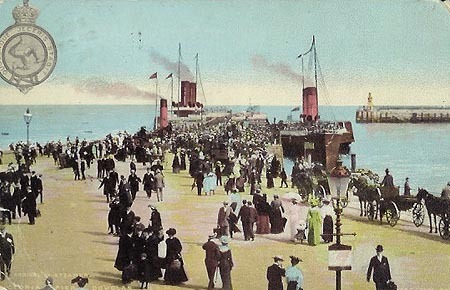 Victoria Pier, Douglas, with Empress Queen in the backgound. The steamers on the right is Prince of Wales or Victoria. 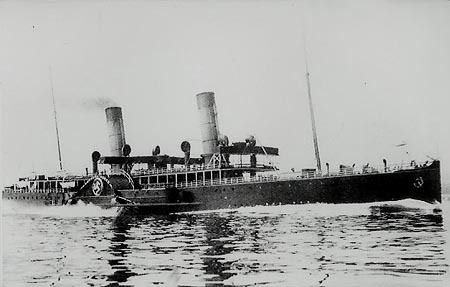 Modern "Motor-in-Man" postcard of Empress Queen at speed on sea trials in 1897. 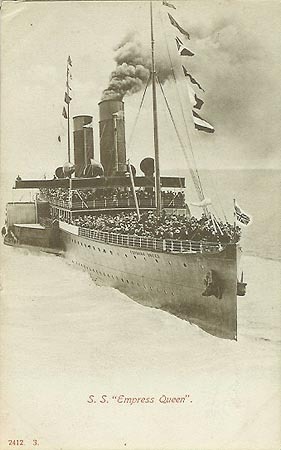 World Ship Society photographic postcard of Empress Queen (also on trials? ).